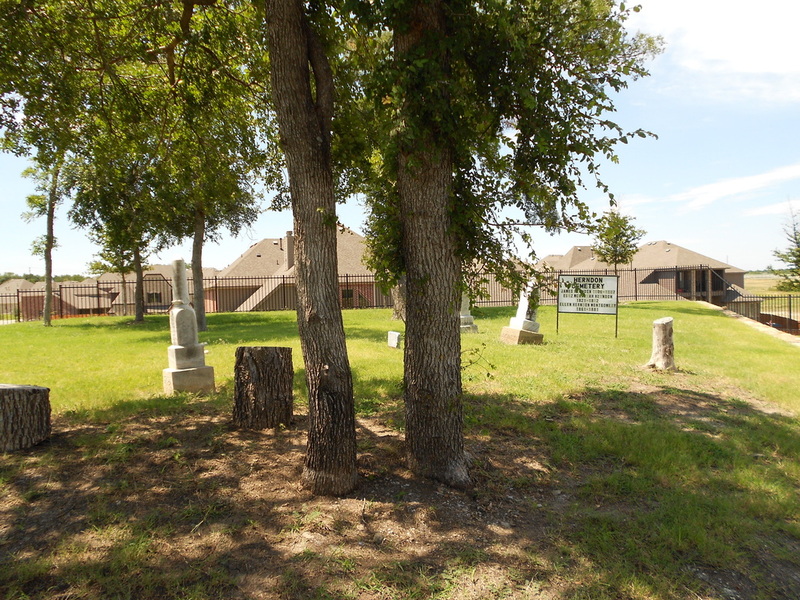 The Herndon Cemetery is about ½ mile north of the Collin County Poor Farm Cemetery, 1 mile north of the Williams Cemetery, 1 mile south of the Buckner Cemetery and 1 mile northeast of the McGarrah Cemetery. The Herndon family is one of the oldest families in the county. George and James Herndon married sisters of Jack McGarrah, who started the town of Buckner. The Herndons arrived in Collin County on election day in 1847. George and his wife Cynthia had a child 5 weeks later. James settled here and George settled southwest of here in the southern part of Stonebridge. The creek that crosses Foncine Rd./Hardin Blvd. south of Virginia Parkway is the Herndon Branch. The hill down to the creek on Virginia Parkway is called Herndon Hill. 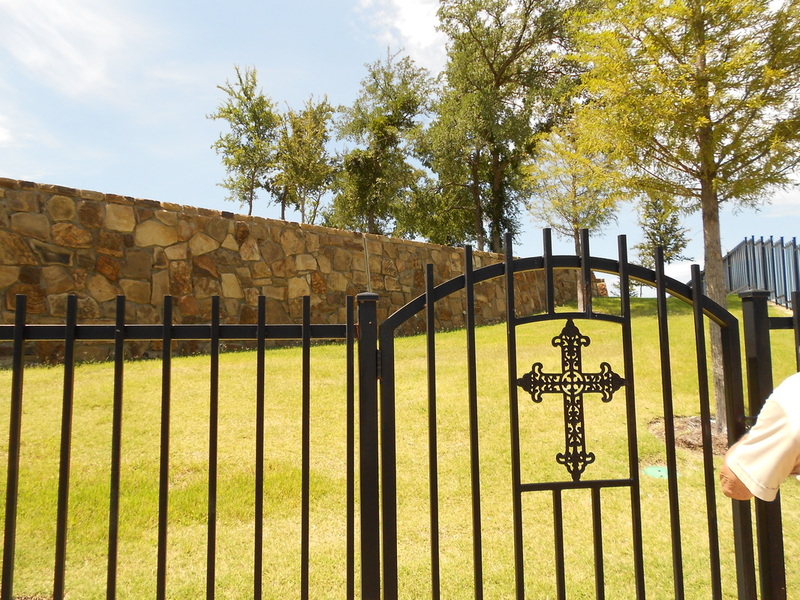 George Herndon had a cemetery on his property, but the graves were moved to Rowlett Creek Cemetery in 1923. 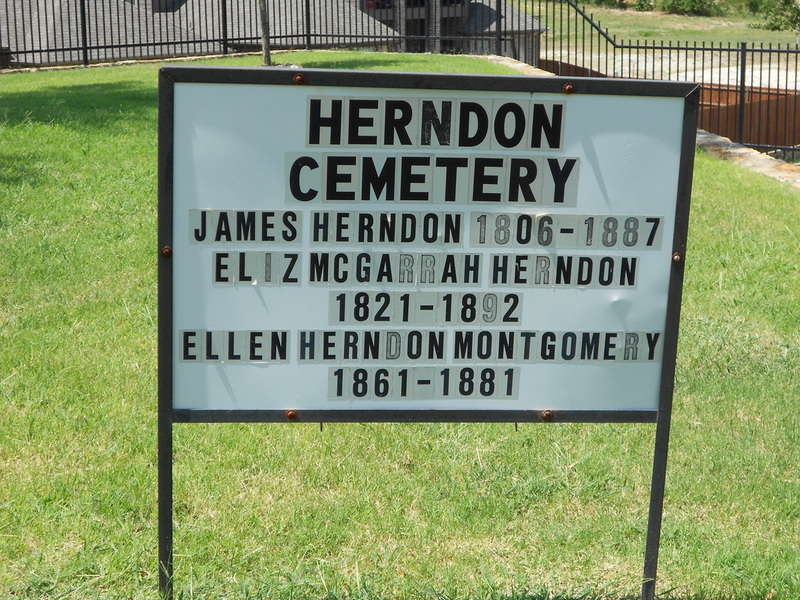 This cemetery contains 3 known graves – those of James Herndon and his wife Elizabeth McGarrah, and their daughter, Ellen N. Montgomery. The stones are in numerous pieces but the writing is still legible. The cemetery itself has not been used for dumping, but the edge of the field near the cemetery has been. It is rumored that there is an Indian Burial Ground east of the family cemetery that has bois d'arc markers. They were not visible on my visit. All of the land around the cemetery as far north as US 380 is undeveloped and belongs to various members of the Crutcher family. The cemetery is mentioned in a couple of early deeds as a point to measure from. However, no deed has been found for the cemetery itself. Several unmarked graves have been located in the cemetery.